Jake Gyllenhaal and Benedict Cumberbatch will star in Edward Berger’s psychological thriller “Rio,” Studiocanal, SunnyMarch and Nine Stories announced Friday. The film will follow two old friends who meet again in Rio — one is a journalist, and the other is a highly successful financier. “Rio” will be produced by Cumberbatch and Adam Ackland through SunnyMarch, and Gyllenhaal and Riva Marker through Nine Stories. Berger’s “Patrick Melrose” series, starring Cumberbatch and Jennifer Jason Leigh, has picked up five Emmy nominations, including Best Director and Best Limited Series. He also directed the first two hours of this year’s AMC series “The Terror.” Past credits include landmark series “Deutschland 83” and the feature film “Jack,” which premiered at the Berlin Film Festival. He is represented by ICM Partners and Anonymous Content. 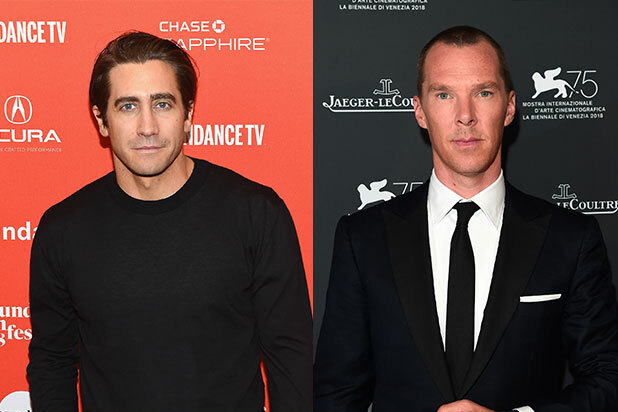 Gyllenhaal and Nine Stories are represented by WME, while Cumberbatch is represented by Conway van Gelder Grant and UTA.